Marc Cardaronella is a successful religious education leader at both the parish and diocesan levels. He is a popular blogger and writes on a variety of topics related to evangelization and catechesis. 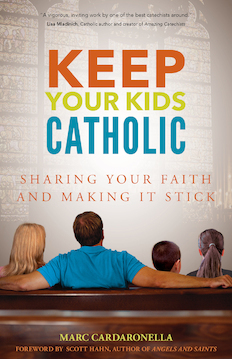 Compact, practical, field-tested, and affordable, the book is perfect for busy parents and for bulk purchases by Catholic parishes wanting to support parents as primary educators in the faith.